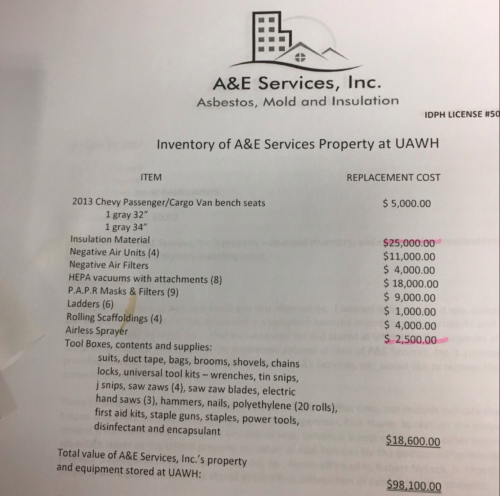 A&E Services Inc., the company that United Airlines insists was not removing asbestos from its former World Headquarters in suburban Illinois, now wants United to return its asbestos removal equipment! 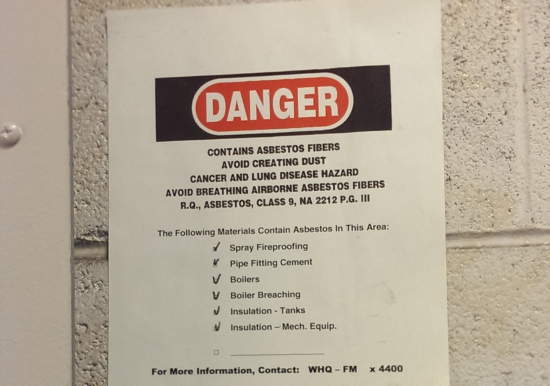 United contracted A&E Services to remove asbestos from United's former WHQ. 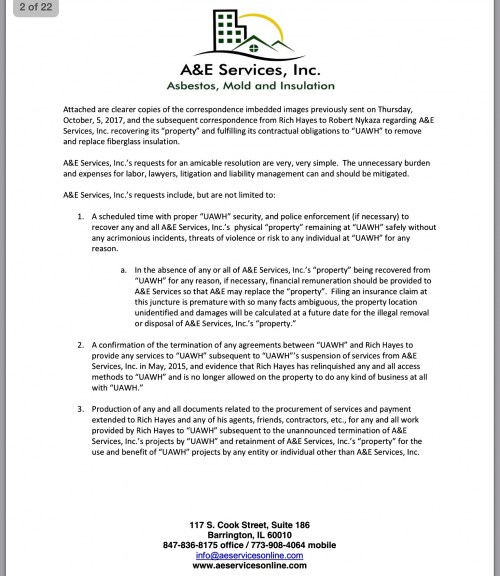 From July of 2014 through May of 2015 A&E Services illegally removed, and then illegally dumped the asbestos in open dumpsters clandestinely placed in a residential driveway in Rolling Meadows IL. United management and their attorneys swear that this did not happen. 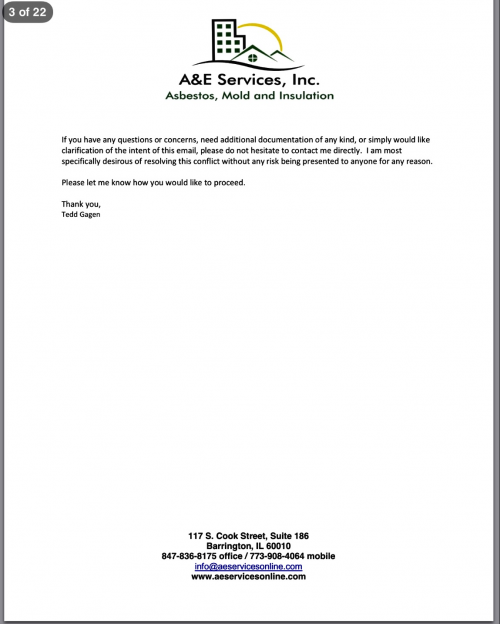 They claim that A&E was paid over $1.1 million to remove some fiberglass insulation. Now why would United remove and replace perfectly fine fiberglass insulation? Answer: they wouldn't. Nobody would! And why would United pay asbestos removal prices to remove fiberglass insulation? Again, they wouldn't. Nobody would! The fact is that United only began claiming that A&E was removing fiberglass insulation after A&E was caught red-handed illegally removing and dumping asbestos. But prior to A&E being caught committing these crimes, United told its maintenance mechanics that A&E was there to remove asbestos. Both claims cannot be correct. 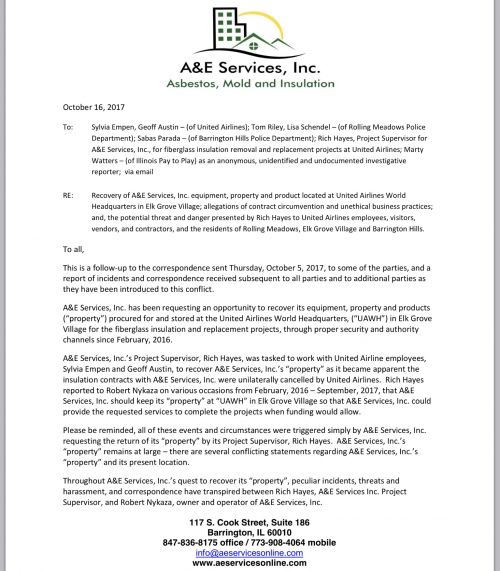 Now A&E is in a fight with United over equipment that was never returned to owner Robert Nykaza after his company was banned from the property. Unfortunately for United, the list of equipment that Nykaza is demanding United return to him is clearly asbestos removal equipment. It can now be added to the mountain of irrefutable proof that A&E illegally removed asbestos from United's WHQ. Brilliant move, Robert! I look forward to seeing how United's attorneys will try to spin this one. 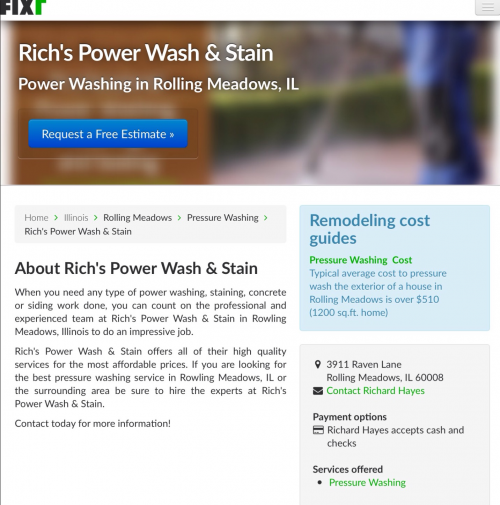 As for the mentally unstable Robert Nykaza, he might want to start working on his explanation for why he had asbestos removal equipment at United, and why he hired Rich Hayes, the owner/operator of a little power washing business in Rolling Meadows, to supervise a multimillion dollar asbestos removal project at United. 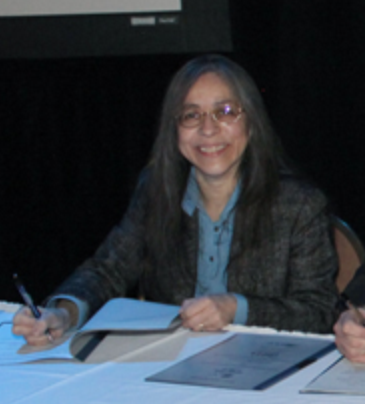 But the explanation I am most looking forward to is the one from the Occupational Safety and Health Administration explaining why they are still allowing United to willfully expose its employees and anyone else who walks into the former WHQ to deadly airborne asbestos.